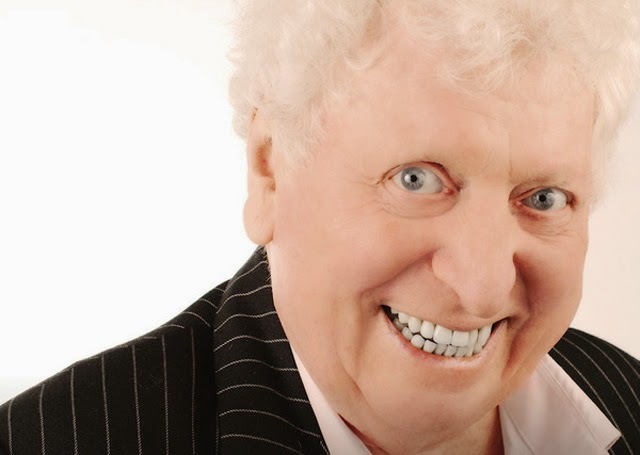 Tom Baker At 81 | Warped Factor - Words in the Key of Geek. On Tom Baker's 81st Birthday, Tony Fyler lets the Doctor speak. Tom Baker lit up television screens for seven years in the 70s, his ‘benevolent alien’ take on the Doctor reaching into the homes of millions and making life inestimably better for a generation of children. It’s an imprint that is still, 34 years after he left the role, regarded both by many fans and by the markers of popular culture as inherently definitive. Now, having appeared in the 50th anniversary special, and through his work with Big Finish, he’s bringing the Fourth Doctor to life again in a way that continues to delight fans across the board. This time last year, Nicholas Briggs, Dalek Supreme and leading Big Finisher, sat him down with a microphone, and recorded Tom Baker at 80, a kind of ‘greatest hits’ of Tom Baker stories, gentled along with genuine affection and a conversational flow, taking Tom through some of the highlights of his career and his life, from the beginnings and his staunchly Catholic education, right up to what was then the present, with the appearance in the 50th anniversary story, and going forward into the new series of Big Finish stories alongside his Second Romana and second ex-wife, Lalla Ward. It would be fair to say that affection is the keynote here. This is not a warts-and-all expose’ of Baker’s true nature over the last eighty years; the feelings he hurt, the egos he bruised, while in no sense ignored or forgotten, are not the front and centre focus of the piece. There’s no need for them to be – which of us, reaching 80, would like to be remembered only for our hubris and moodiness, our coldness or tantrums? We know that Baker as he went past the peak of his enjoyment in Doctor Who became more and more difficult to work with. He knows it too, and acknowledges the faults and failures which made the lives of others, and his own, more difficult than perhaps they needed to be. That’s what he means when he says he’s a nicer Tom Baker now he’s older – with the encroaching of time and its seemingly inevitable shortness, he has a desire to be happy, to be avuncular, to be, almost, more worthy of the enormous affection the world’s generation of Who fans has for him than he probably was at the time he was running down corridors in a big hat and an impossibly long scarf. This increasing blurring together of image and reality is something that people who live to be 80 have a right to – without rewriting too much of their history, they have a right to be remembered and remember the good things more than the bad, and to have learned from the mistakes of long experience (though Baker claims to have learned nothing). Briggs in this production is the fanboy avatar for all of us who hold Baker, in his performances and in what we know of his life, dear from the other side of the screen. There’s a sense that the thing Tom Baker couldn’t abide would be ever to be dull. 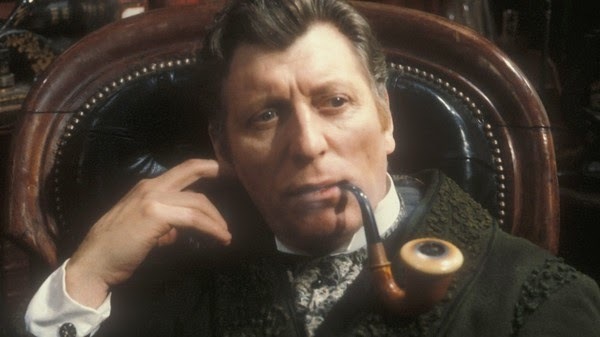 So if his stories aren’t entirely true, you shouldn’t mind, because Tom Baker, with that wonderful, familiar voice stretched just a little by age, has taken time out of the exhausting business of being Tom Baker, to tell you a story. Here, he takes time out to tell you lots of stories, but perhaps unusually, most of the time in this couple of hours, he does the courteous thing of pushing the made-up ones, the jokes, the ideas to get a reaction, just a little far, so they stand out from the stories and the affectionate reflections on friends from his past, allowing the latter to have a greater value. ‘Not everything’s a joke, you know,’ he says at one point, ‘banter can get terribly dull very quickly.’ So here, there are genuine, loving memories of Elisabeth Sladen and Ian Marter which actually delve beneath what you think you know of them. There’s a little more honesty and depth than you’re used to hearing in the story of how Baker got the role of his life, and there’s a truthful ring to the idea that he knew only a little about the programme when he joined it, and quickly stopped watching even his own performances. Indeed, the reason behind that decision shows a side of Baker that’s rarely touched on – his technical, critical side. There’s a franker admission of his relationships with some producers than you may have heard too, the good (Philip Hinchcliffe and Barry Letts), the bad (Graham Williams, sort of) and the ugly (John Nathan-Turner), and a whistle-stop appreciation of his 80s successors in the role. He insists no-one has ever failed in the role of the Doctor, praises Peter Davison’s acting range, and marvels at the skill of Sylvester McCoy. Again, in the recent years of New Who, there’s been much play on the idea of ‘The Man Who Regrets’ and ‘The Man Who Forgets,’ and even, more recently the man who’s ‘made many mistakes’ and thinks ‘it’s time to do something about that.’ Tom Baker is all of those men, and more. While never seeking to forgive or especially gloss over the more spiky, difficult edges of his personality, he’s a man now happier than ever before, and increasingly dedicated to making the lives of others as happy as his own. In a quest to ‘matter’ in the wider world, he succeeded four decades ago when he made the monsters of the world less scary for children everywhere by very much being the Doctor, the man who could defeat any monster there was. But as his sense of happiness has increased, and his determination to spread that happiness as Tom Baker, as well as the Doctor, has grown, the rewards seem both to thrill and slightly surprise him – to hear him talk of his rapturous reception at the 50th anniversary event at ExCel is a humbling and heartwarming thing. 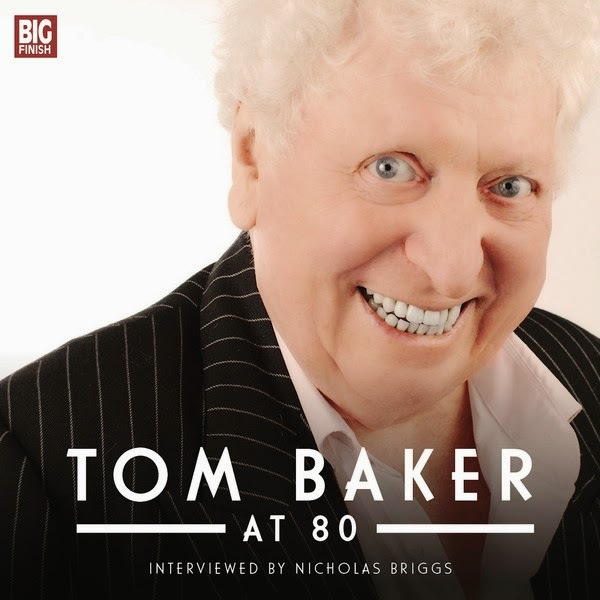 Tom Baker at 80 is a must-have in your audio collection, a) because let’s face it, you could listen to him recite the phone book and be thrilled, and b) because it shows that the essential Baker sense of humour is still there, along with a warmth that makes him endlessly endearing. 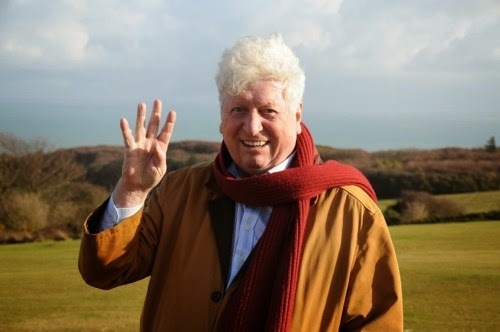 We at WarpedFactor are delighted to be able to say a very happy birthday to Tom Baker at 81, and a heartfelt thank you from Doctor Who fans everywhere.